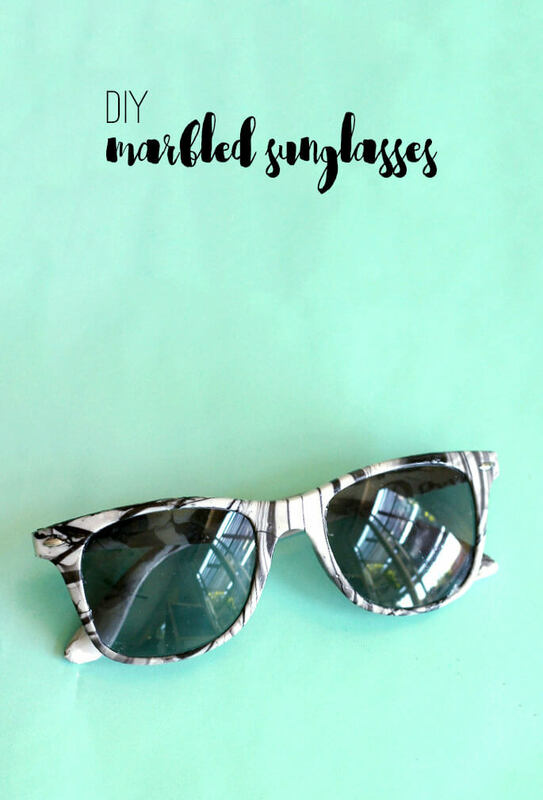 Try this fashionable spin on the marbling trend – DIY Marbled Sunglasses! 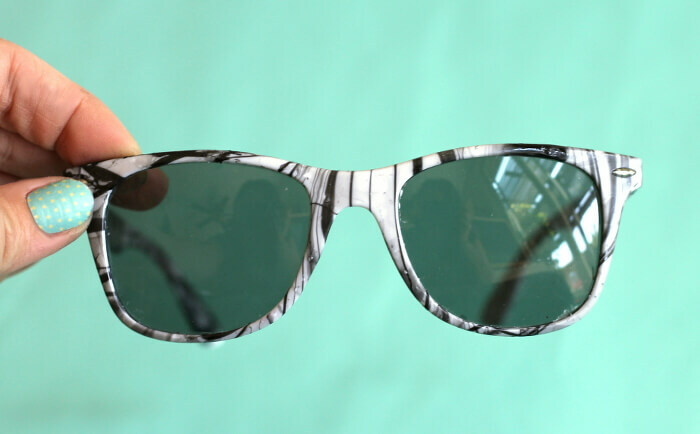 It’s so easy to add an awesome marbled pattern to your favorite pair of sunnies with just nail polish and water. This post was originally shared at Tried and True and contains affiliate links, which help to support this blog. Thank you! So there are about 20,000 nail polish marbling projects out there in blogland, and I have been wanting to try out the technique for ages. But I really wanted to do something a bit different, as much as I love the mugs and pots – I wanted to marble something I hadn’t seen marbled before. 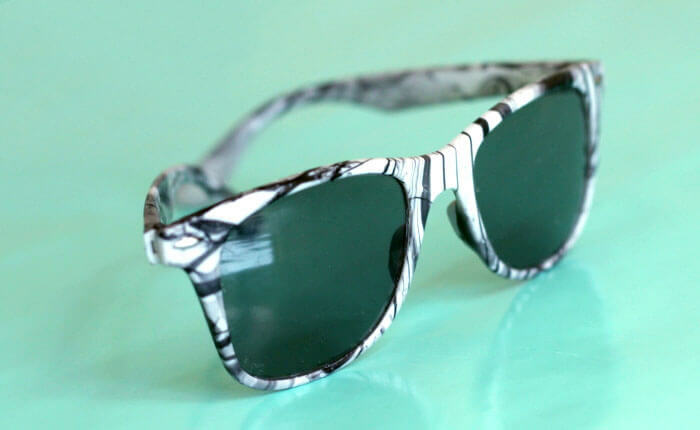 Finally, I came up with the idea of marbling some sunglasses, and I kind of love the way they turned out. 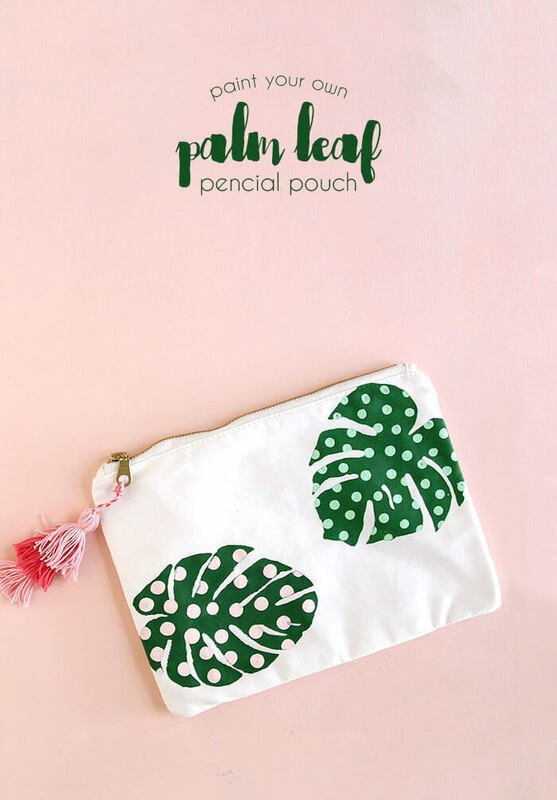 Super fun and perfect for summer! The marbling technique turned out to be a little bit tricky for me, but after a few tries, I got it down and I’m looking forward to more marbling projects in the future. 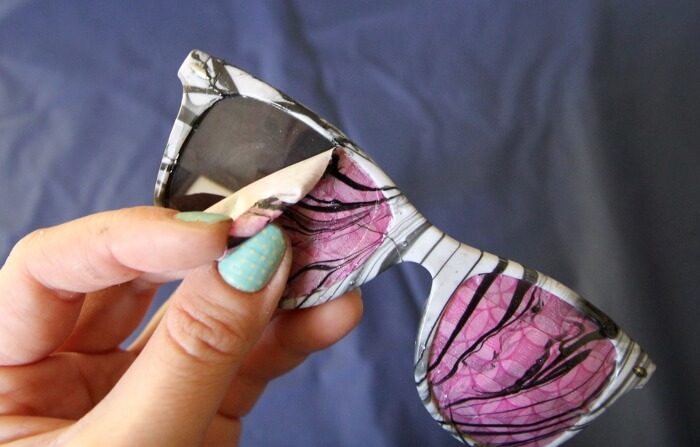 Prepare your sunglasses by covering the lenses with masking tape – layer pieces of tape over the lenses and then trim off the excess around the lenses using the craft knife. Then, repeat the process so the back sides of the lenses are covered as well. When that’s done, you are all ready to marble! I found that the marbling technique definitely has a bit of a learning curve, so I recommend practicing on something else (I did a few plastic cups) before doing your glasses. Also, I tried dollar store nail polish first and didn’t have as much success as I did with the cheap drug store polish (maybe $2). I’m not sure why one worked better than the other, but I wondered if it might have something to do with the age of the polish. 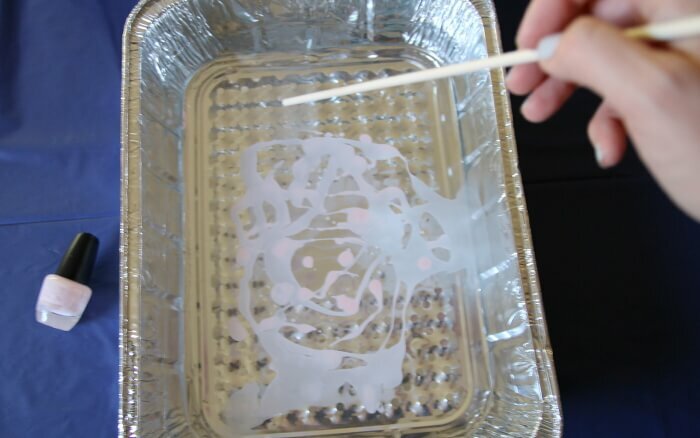 Fill your container with water, and then drizzle nail polish on top of the water. If you want you can swirl the paint with your dowel, but you have to work quickly. Put the glasses face down into the paint, pushing the glasses under the water, and then lifting them out. 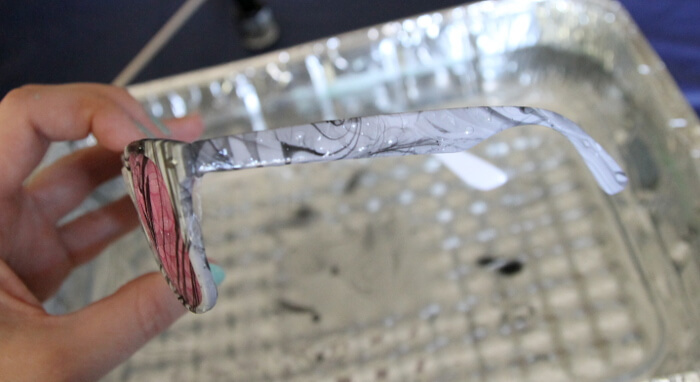 Let the paint dry completely before touching it. 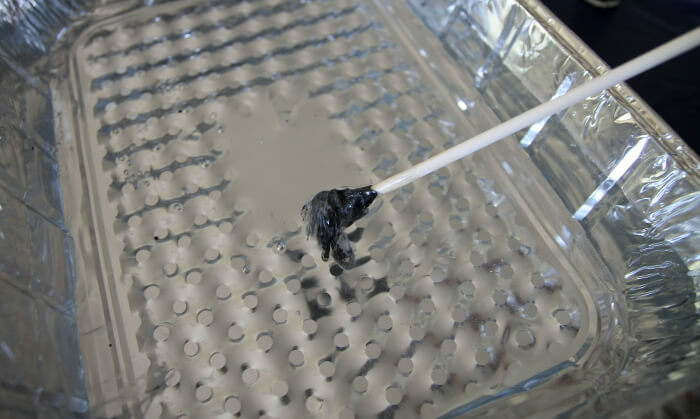 Use a dowel rod to swirl up the leftover paint from the water. 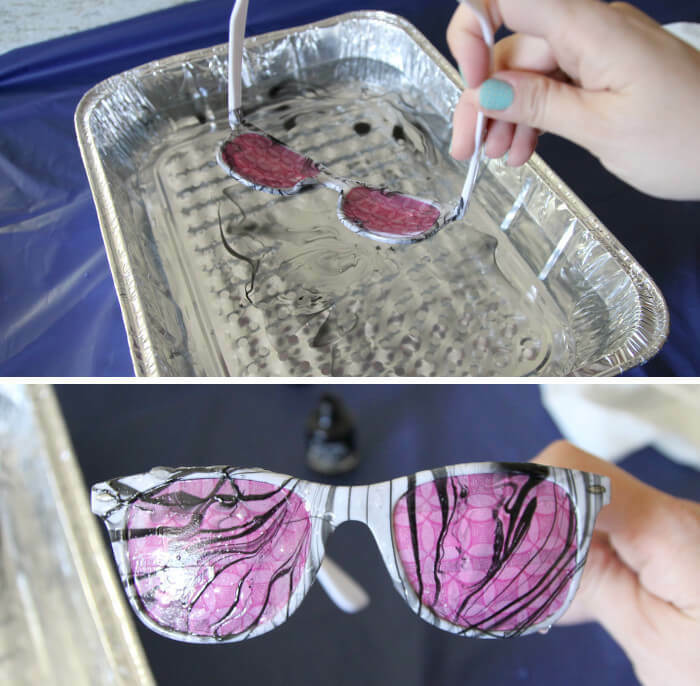 Then you can drizzle more paint on top of the water and dip the sides of the glasses. When the pain is completely dry, remove the tape from the lenses. What do you guys think? 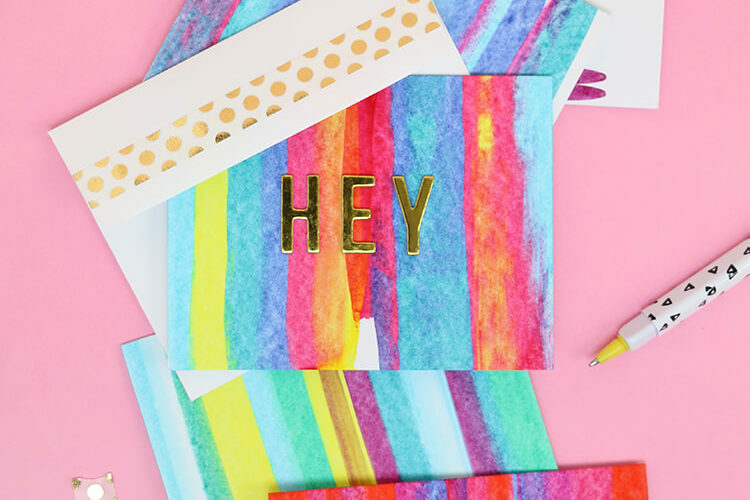 Have you tried nail polish marbling yet? If so, how did it go for you? 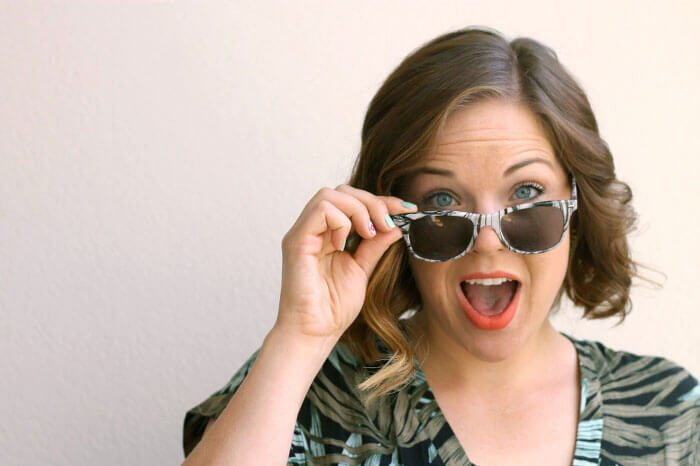 If you make your own DIY marbled sunglasses, I want to see them! 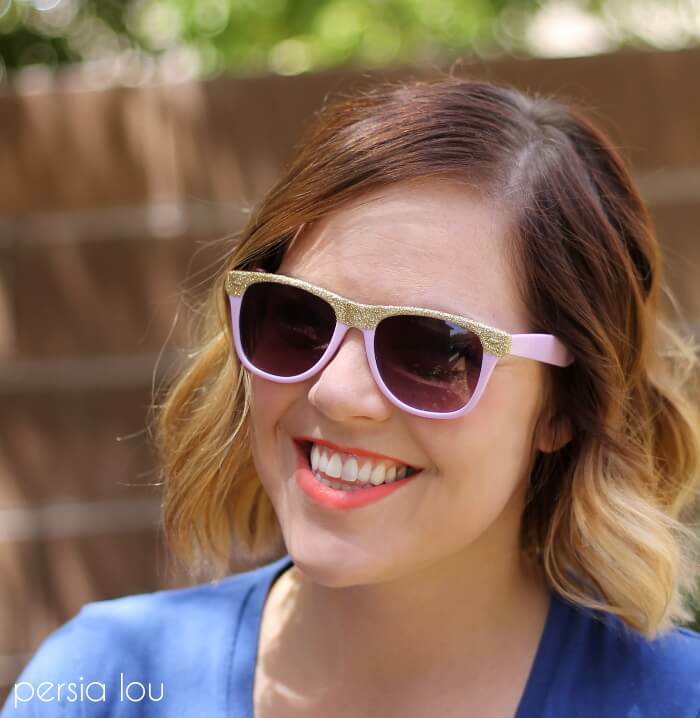 🙂 Share your photos to my facebook page or tag me on instagram or twitter (@persialou), and don’t forget to use the hashtag #persialou for a chance to be featured. Ah! 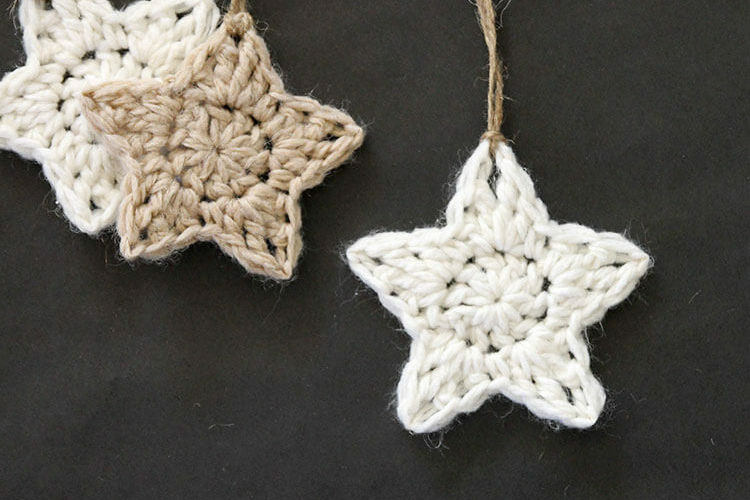 That’s so cool!! 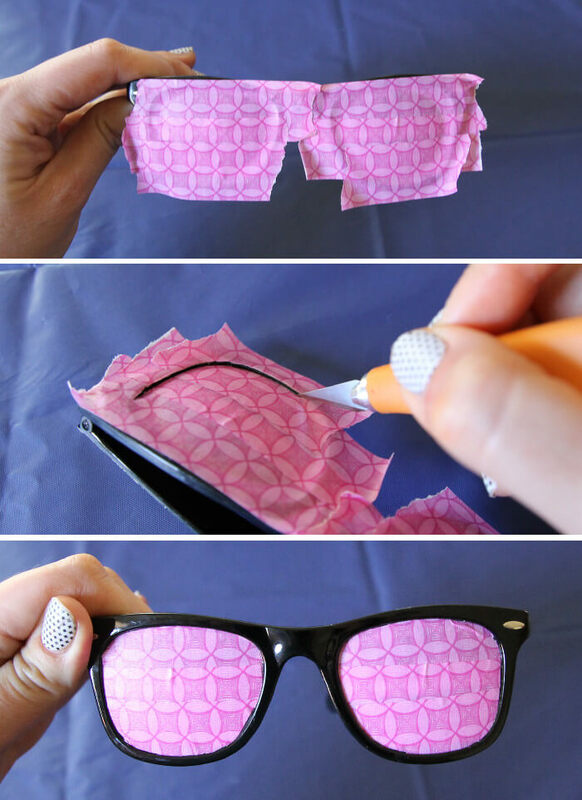 This is such a great idea for those freebie sunglasses you get with logos or designs you’d rather hide (ie. I need to do this with the pair I got with “UBER” emblazoned on the side). Well, you’ve found one more thing I LOVE marbled! 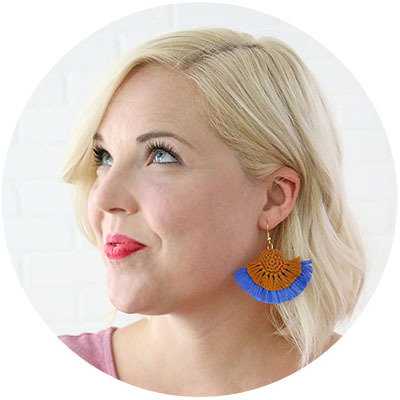 I wish I had seen this a few weeks ago, I just did a roundup of my favorite marbled projects and would have loved including this one. So cool, Alexis! Okkkkk this is is REALLY cool. I immediately thought ugh but you’ll have to pop out the lenses and popping them back in is such a PITA. Of course you came up with a genius technique. Turned out amazing, Alexis! Haha – you are the best. Thank, Amy! 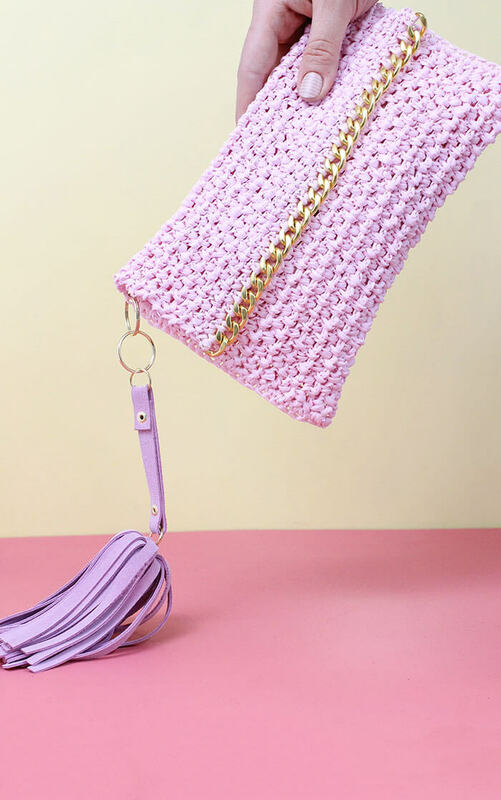 Love the color combo (obv.) . Wish I would have had your tutorial earlier for that taping method. 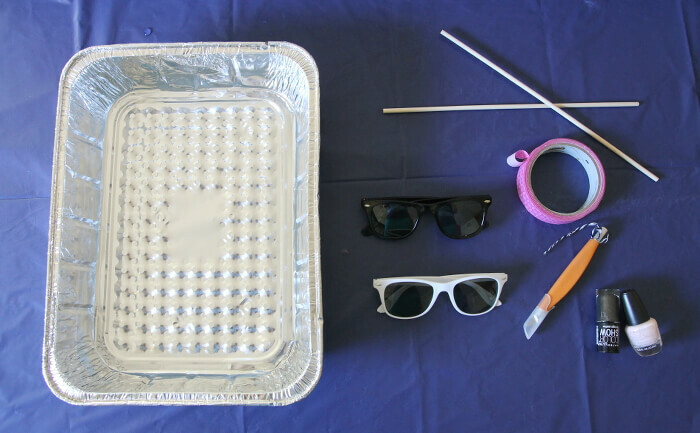 I recently painted some sunnies and ended up taping a thousand little schnibbles on the lenses. Your way is 10thousand times faster. How do you keep the polish from wearing off? Spray varnish? I did not do a spray varnish, and didn’t have problems with it rubbing off, but I think it would be a great idea to give it a coat of spray varnish. You would just want to cover the lenses again first.